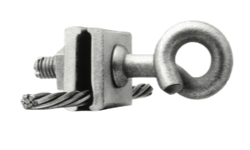 PPC offers a full line of Diamond aerial drop hardware designed to keep your aerial installations safe and secure. 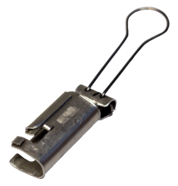 We’ve designed our clamps to be easy to install, while still providing a safe and secure drop. 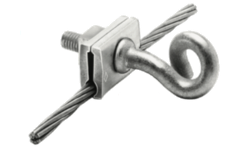 The Diamond“C”Span Clamp is used in CATV and telephone drop installations to provide drop wire takeoffs along the span and relieve tension on the drop wire at this point; and as a pull off to hold cable away from obstacles in the line of aerial construction. This application eliminates the use of tree guards. 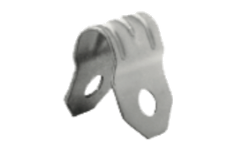 Diamond Drop Wire Clamps are used to support both ends of an aerial service drop span at the messenger strand and building. 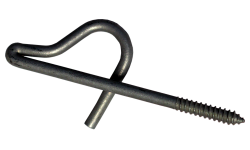 The Diamond Drop Wire Hook is used in telephone drop installations to attach the bail of a drop wire clamp to a masonry or wood surface. 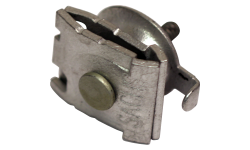 The Diamond “E” Drop Wire Clamps are used in telephone drop installations to secure drop runs to either wood or masonry surfaces. 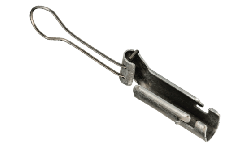 The Diamond “E” Span Clamp is used in telephone installations to provide drop wire takeoffs along the span and relieve tension on the drop wire at this point. The “E” is also used as a pull off to hold cable away from obstacles in the line of aerial construction. This application eliminates the use of tree guards. 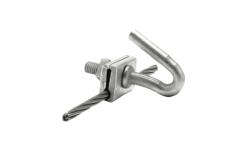 The Diamond “O” Span Clamp is used in CATV installations to provide drop wire takeoffs along the span and relieve tension on the drop wire at this point. 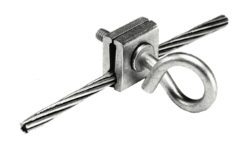 The Diamond“Q”Span Clamp is used in CATV drop installations to provide drop wire takeoffs along the span and relieve tension on the drop wire at this point. .
PPC’s Diamond® hardware is engineered to withstand corrosive environments for decades. From aerial to underground, Diamond hardware offers a full line of solutions designed to save you more. 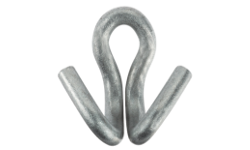 The Diamond “P” House Hooks are used in CATV drop installations to receive the drop wire, drop wire clamp or wire grip at the house and secure the vertical downward run of the CATV drop wire outside the house. 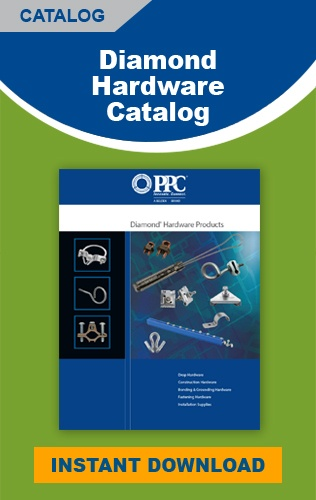 PPC’s Diamond® hardware is engineered to withstand corrosive environments for decades. The combination of superior materials and mechanical galvanization provides the lowest long-term cost of service. From aerial to underground, Diamond hardware offers a full line of solutions designed to save you more.